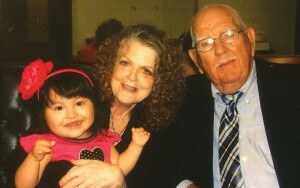 TeAta and Jim Gattis, are shown with their daughter, Chloe, on the day their adoption of Chloe became official. SAPULPA—Jim and TeAta Gattis have gone well beyond the second mile when it comes to caring for children—theirs and others—during their lifetimes. In fact, it might be said they are approaching running a marathon in that regard. Jim, 92, and TeAta, 70, have been fostering children together since soon after they were married more than 15 years ago in a ceremony in the assisted living center at Baptist Village of Oklahoma City. TeAta worked at Baptist Village working with Chaplain Chris Finley, doing Grief Share sessions and organizing activities. She and Jim helped organize a choir which later sang at their wedding. “We lived at the Baptist Village for a couple of years, and then became caretakers for the Girl Scout camp in Binger,” TeAta said. “That’s when we became interested in foster care. I had worked at Cal Farley’s Boys Ranch for years near Amarillo, Texas while raising my four sons. Perhaps their greatest blessing is their daughter, Chloe, who they began fostering when she was three weeks old. Chloe is now a walking, talking 6-year-old miracle and the pride and joy of her adoptive parents, who are members of Foundation Church. Chloe was born with Adams-Oliver syndrome, a rare condition whose primary features are an abnormality in skin development (called aplasia cutis congenita) and malformations of the limbs. 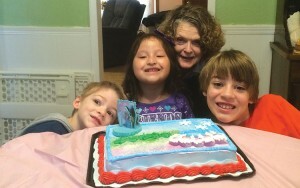 Chloe Gattis, with her mom, TeAta, and family shows off her 6th brithday cake. Most people with Adams-Oliver syndrome have aplasia cutis congenita, a condition characterized by localized areas of missing skin typically occurring on the top of the head (the skull vertex). In some cases, the bone under the skin is also underdeveloped. Individuals with this condition commonly have scarring and an absence of hair growth in the affected area. 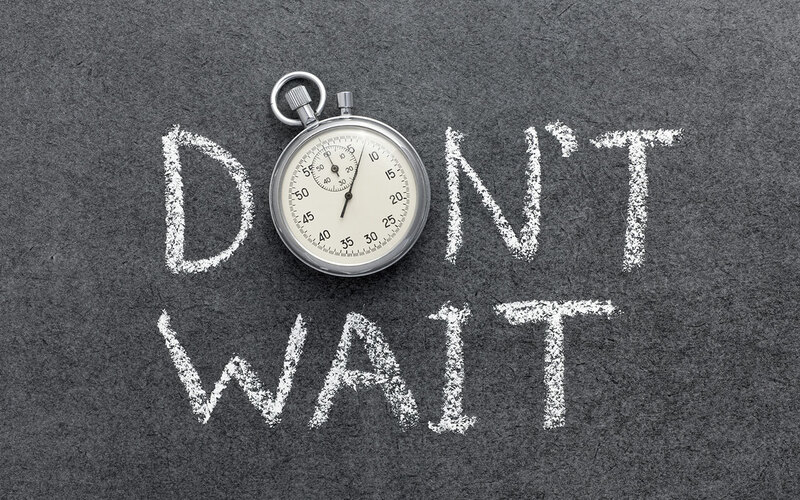 In some cases, people with Adams-Oliver syndrome have neurological problems, such as developmental delay, learning disabilities, or abnormalities in the structure of the brain. While TeAta is the main caregiver for Chloe and the other foster children, Jim pitches in when he is not working his full-time job as a security guard at the Tulsa airport. A veteran of World War II, he works 44 hours every week, including two 12-hour shifts. Although doctors said Chloe probably would never talk, TeAta proudly shared an anecdote about a recent outing for lunch. 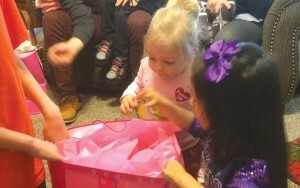 Presents are always part of a birthday party. “The doctors also told us Chloe would only live maybe nine months, and she’s six years old, now. She has learned to talk this year. She does have a lot of health issues, but she’s bright, and I wish a lot of our mothers and dads who are on drugs and alcohol and cigarettes could see what they are doing to their children—if they could just take a look and see what Chloe has had to go through. “But, she doesn’t know that she’s any different. We treat her like any other child. We’re positive and encourage her. She has learned to walk with a walker. She didn’t sit up until she was a year-and-half, two years old. “She is doing second grade reading and is only in Kindergarten. “I remember years ago when he was at the retirement center, my wife’s grandmother was out there,” Lehew said. “Jim drove the bus, and I was worried about him because he had a heart condition. That was probably more than 15 years ago. “I went to the director and said, I’d be careful about letting him drive, and that was before he married my mom almost 20 years ago. He has fostered so many kids since then, and I have no concerns about him. He’s just great. He has a great sense of humor. He is a blessing to our family. “Chloe wasn’t expected to live and she is thriving. It’s incredible to see. They didn’t think she would talk, and she can. “It’s been amazing to see her development, and I firmly believe it’s because mom and Jim have cared for her and got her into the right places to get help. Then all along, they have continued to foster babies; they keep babies, some for extended amounts of time. Asked how many children she and Jim have fostered, TeAta answered, “I don’t know. But, we were always full. All these years, we’ve never been without one or two or three children. Some we had for a year, some for two years. The ones we had for a short time were adopted. Besides fostering, the Gattises have four sons, one daughter, 20 grandchildren and three great-grandchildren between them.